SOLD OUT. Online registration is closed. Drawing on culinary inspiration from Europe, Africa, and Asia, the well-crafted menu at Samba reflects the multicultural and authentic tastes of Brazil. From the grilled churrasco to the feijoada to a variety of Brazilian gourmet pizzas, Samba offers a large variety of dishes that are sure to please the curious connoisseur in search of new flavors. Comfortable and charming, this family-owned eatery presents a traditional, home-style take on Brazilian cuisine that is rarely found in Minnesota. 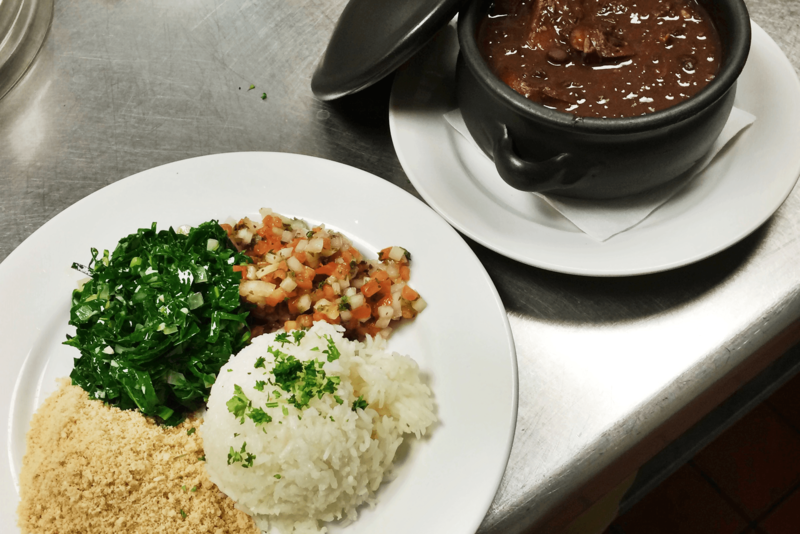 Join us at Samba – Taste of Brazil for a delicious Brazilian experience and hear from owner and chef, Joe Pantano, as he discusses the evolution of Brazilian food and the history of Samba. We’ll also enjoy the musical stylings of Brazilian performers Paula Kanne and Robertinho. Registration includes dinner, Brazilian cocktail caipirinha, non-alcoholic beverages, tax, and gratuity. Cash bar also available. Advance registration and prepayment required. Event vouchers accepted. To register with a voucher, please call us at 612.625.1662. You must bring voucher(s) to the event to redeem. Presented in partnership Brazil Minnesota Chamber of Commerce and Honorary Consulate of Brazil. Global Minnesota is unable to offer refunds for paid events less than a week prior to the event. Thank you for your understanding. Global Minnesota is a registered 501(c)(3) organization.